Pictures of Machu Picchu, the last city of the Incas, were what inspired us to visit Peru in the first place. A picture is worth 1000 words and I hope our images of Machu Picchu will ignite your wanderlust and lead you to the Sacred Valley of Peru to experience the remains of a remarkable civilization. 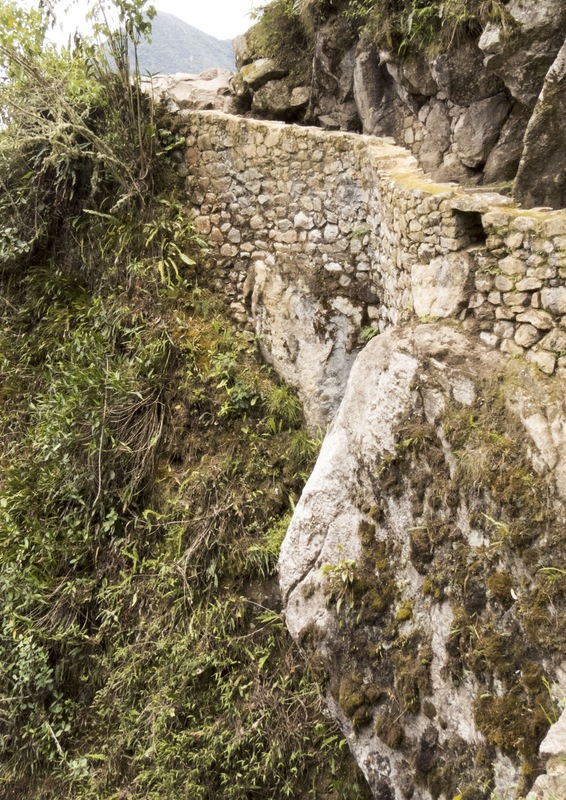 Here are 30 of my favorite photos of Machu Picchu for your viewing pleasure. We arrived in Machu Picchu before 6 am after a winding bus ride up the mountain from Aguas Calientes; just in time for a Peruvian sunrise. 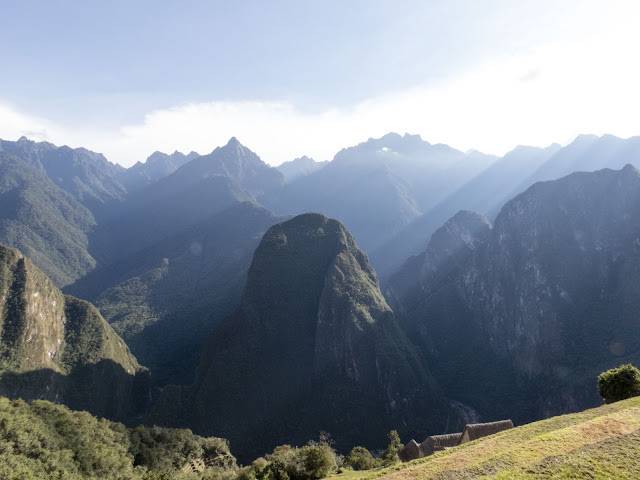 Sun rays cut across the mountains giving a mystical air to the ancient home of the Incas. 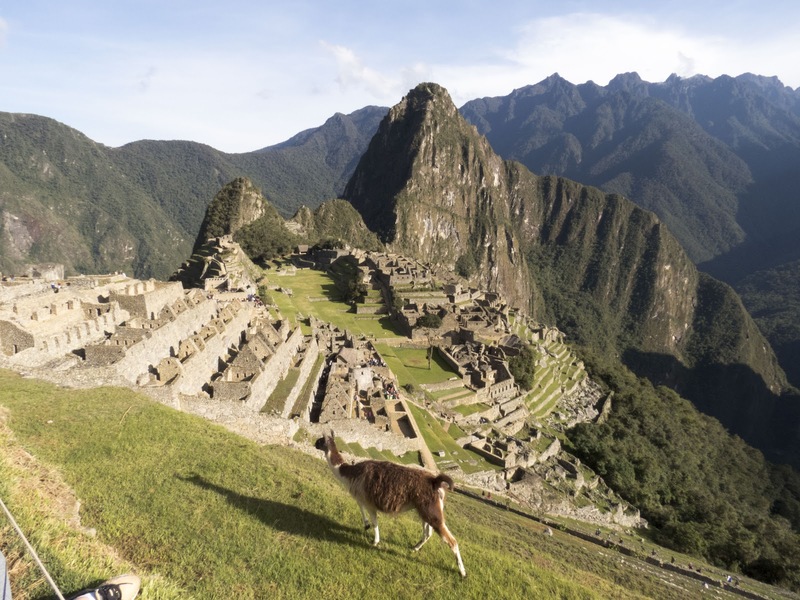 I never really thought about it before visiting Machu Picchu, but I suppose bringing in lawn mowers would ruin the ambiance of this glorious Incan city. Why lose the feeling that you are stepping back in time with modern machinery when you can mow the lawn the natural way: with llamas! Machu Picchu sits at more than 8500 feet above sea level so make sure to acclimate to the altitude for a few days before your journey to the home of the Incas. 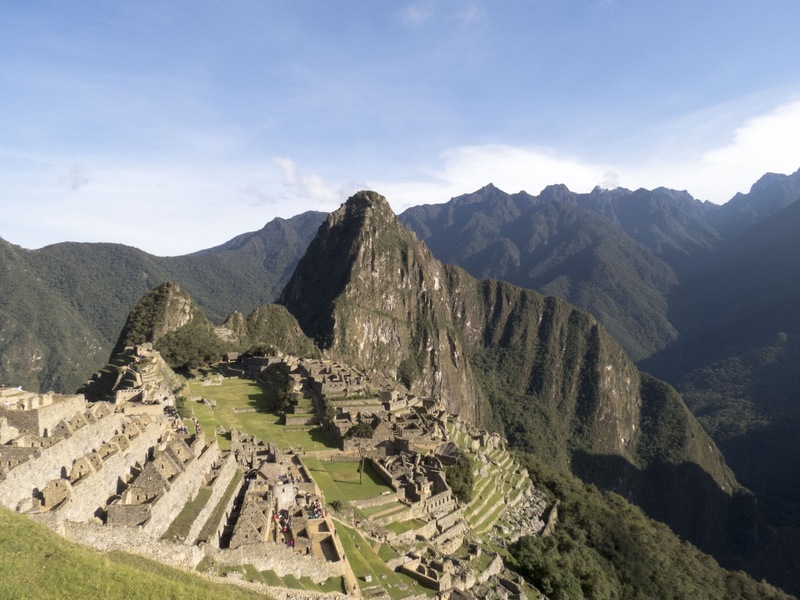 By being smart about how you adjust to the altitude, you'll make the trip uphill with ease to see in real life some of the most iconic images of Machu Picchu. Incan architecture is characterized by trapezoidal doors and windows which lend stability to the stone structures at Machu Picchu. 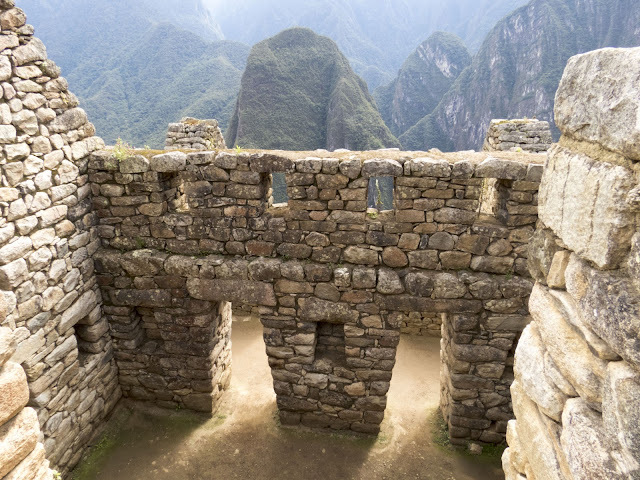 We took plenty of pictures at Machu Picchu of doors and windows featuring a not-quite-square shape. 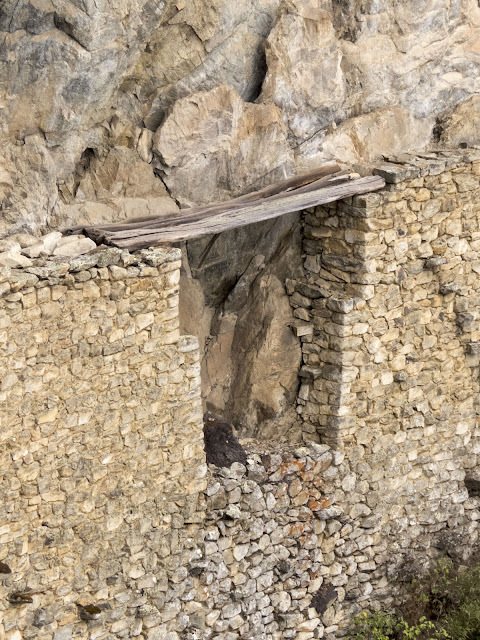 We especially enjoyed watching the light and shadow play off the openings. 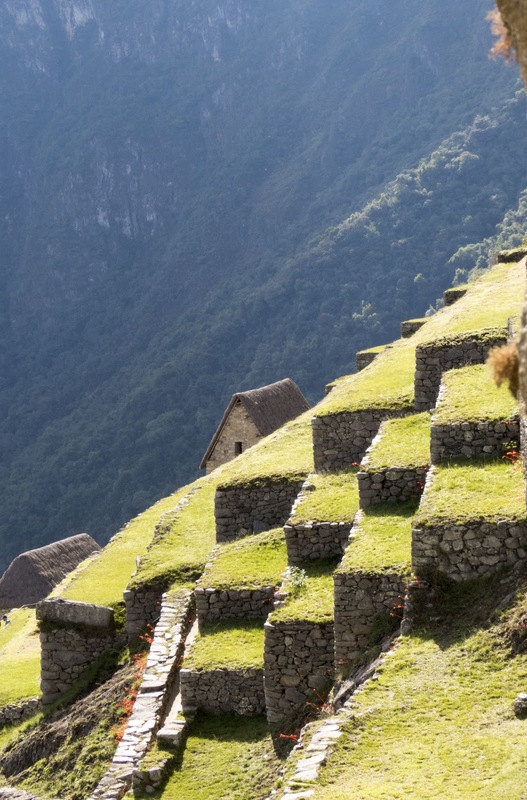 Outside the ancient gates of Machu Picchu there are terraced farms. 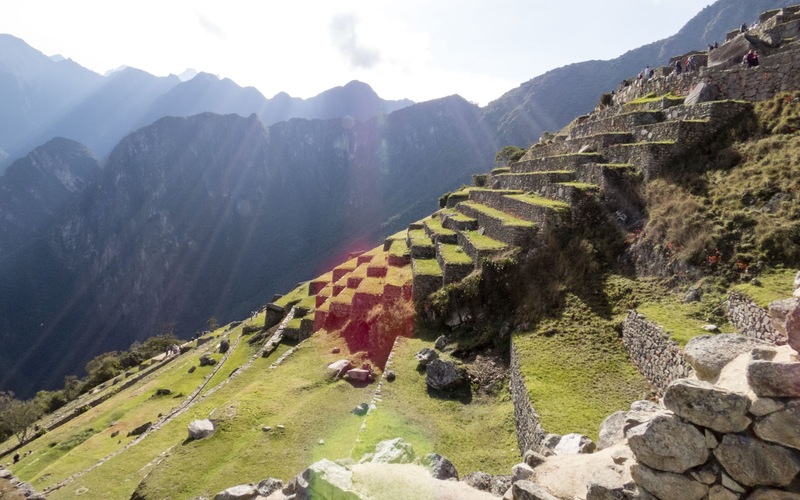 The sun and greenery make for memorable images of Machu Picchu. 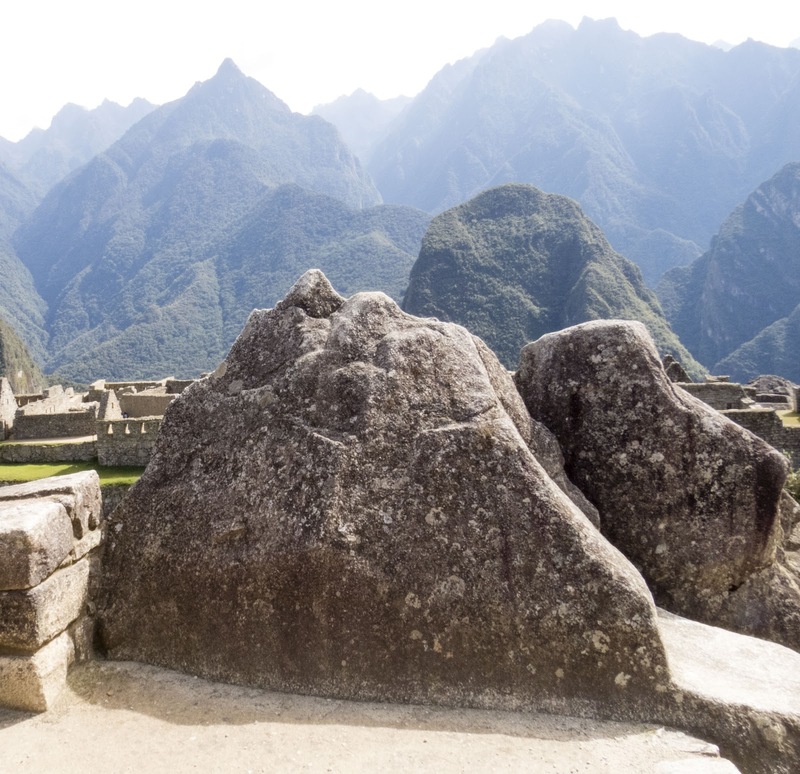 The Incans placed cermonial rocks in the city of Machu Picchu that mirrored the shape of the Peruvian Andes. The resemblance is uncanny. Our favorite photos from Machu Picchu were taken at a distance, outside the ancient walls of this city of the Incas in Peru. From a distance, you really get perspective on the layout and planning that went into developing the royal city. Machu Picchu isn't just about Incan ruins. 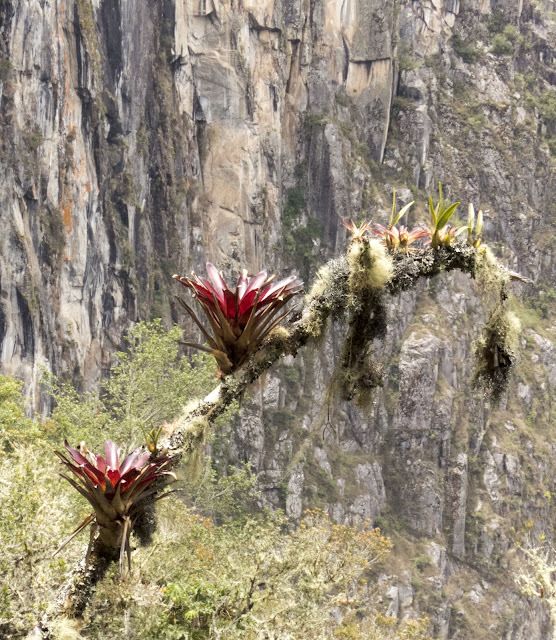 You'll also find great images of flora and fauna in the center of Peru's cultural heritage. 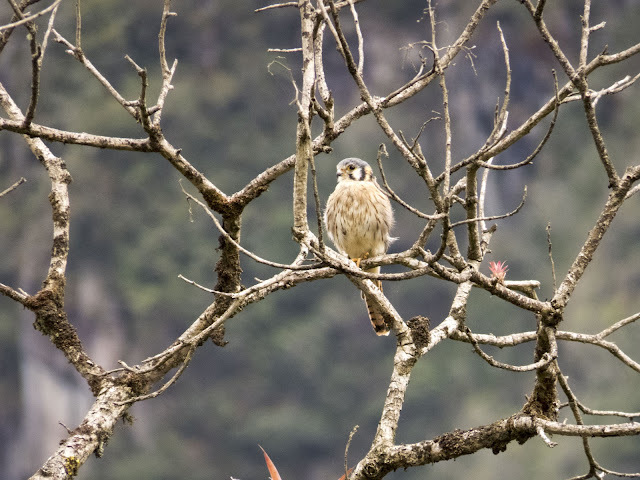 Look out for birds of prey and flowers like you'll see nowhere else in the world. 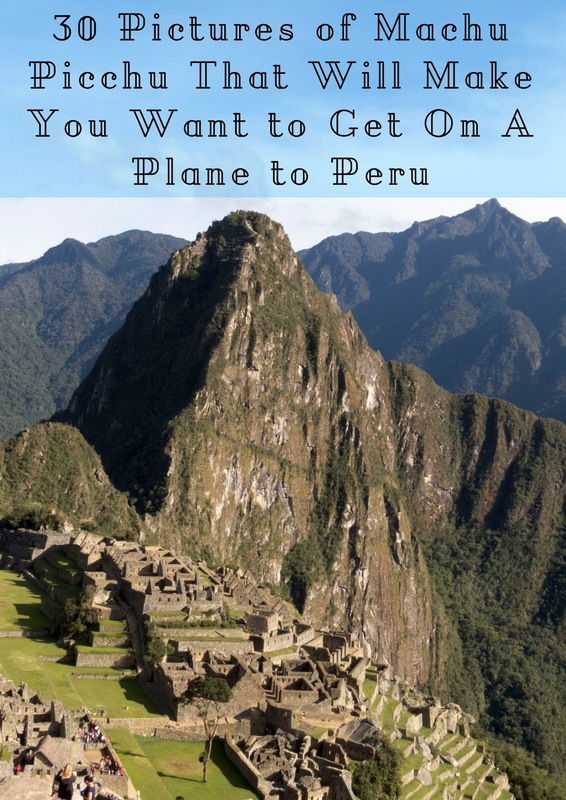 There is a lot of ground to cover in Machu Picchu and with the new rules regarding entry permits, you'll have even less time to see it all. 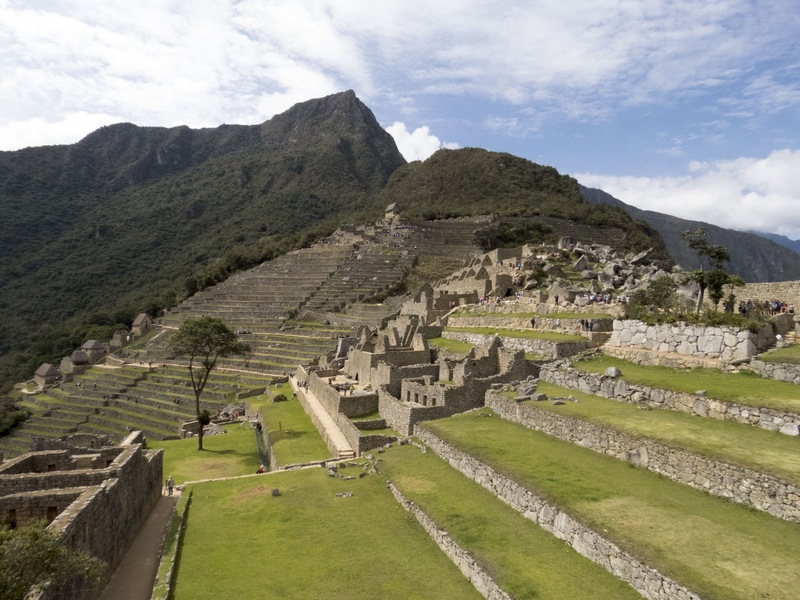 After an initial guided group tour through Machu Picchu, we considered what to do next. 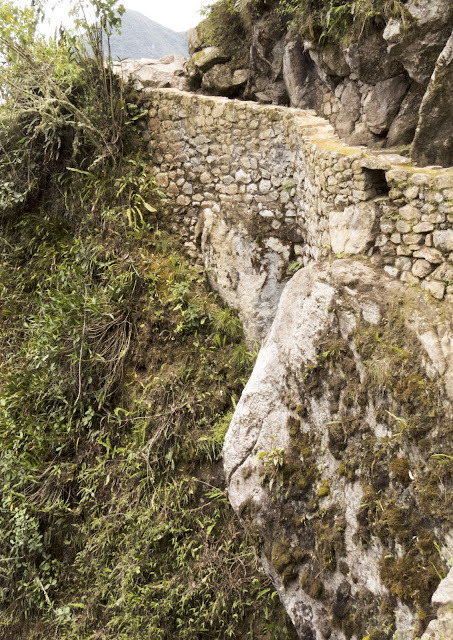 We thought about hiking up Machu Picchu Mountain but decided that it would be too strenuous and opted to hike to Inca Bridge instead. The path clung to the side of the mountain as we snaked our way along. We could see a wooden bridge in the distance although for safety and preservation reasons we weren't allowed to cross. 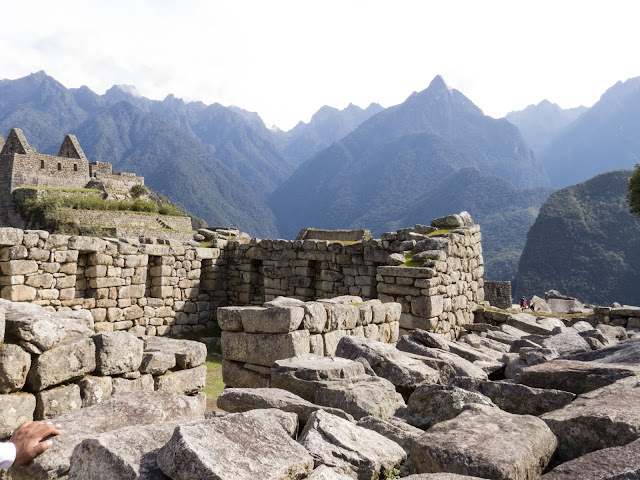 Pretend to be a member of Incan royalty as you walk among the ruins of Machu Picchu. My favorite Machu Picchu images are the ones that show the constantly changing sky. 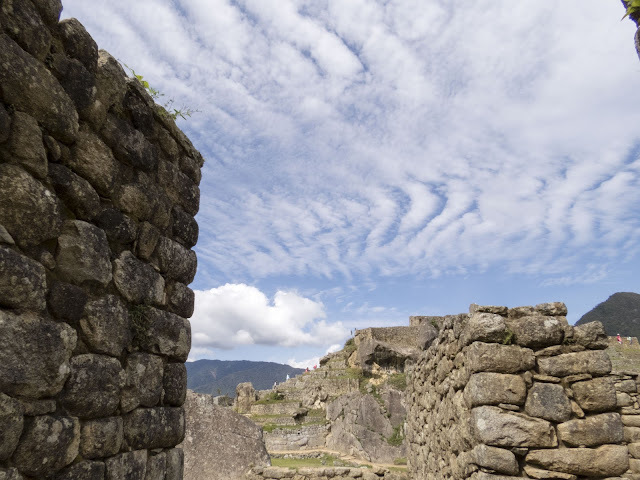 We started our day in Machu Picchu with blue skies over the Andes. As the morning progressed, fluffy white clouds created patterns in the Peruvian sky. 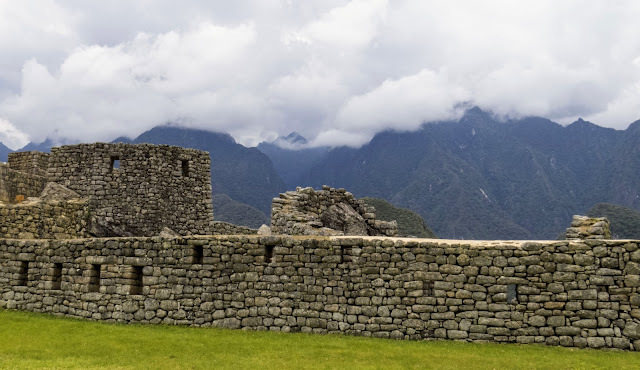 In late morning, the cloud rolled in over the mountains to completely change the atmosphere at the city of the Incas. We hope you've enjoyed our Machu Picchu picture gallery. 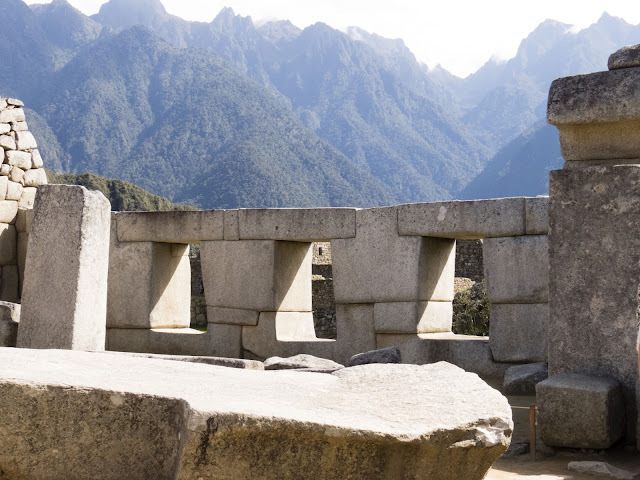 Did our images of the mystical city of the Incas inspire you to want to visit? To plan your visit, check out the details on the official Peru tourism website. 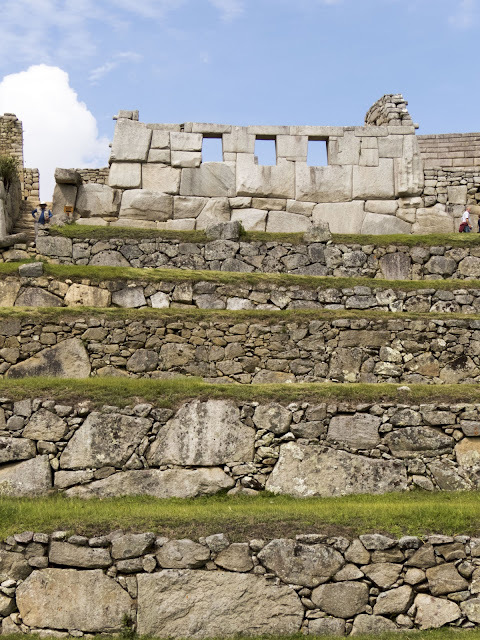 Explore Machu Picchu images. 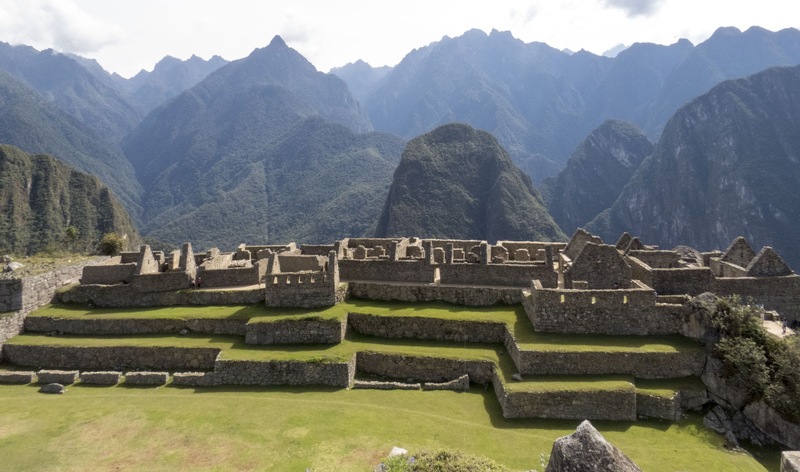 See Pictures of Machu Picchu. 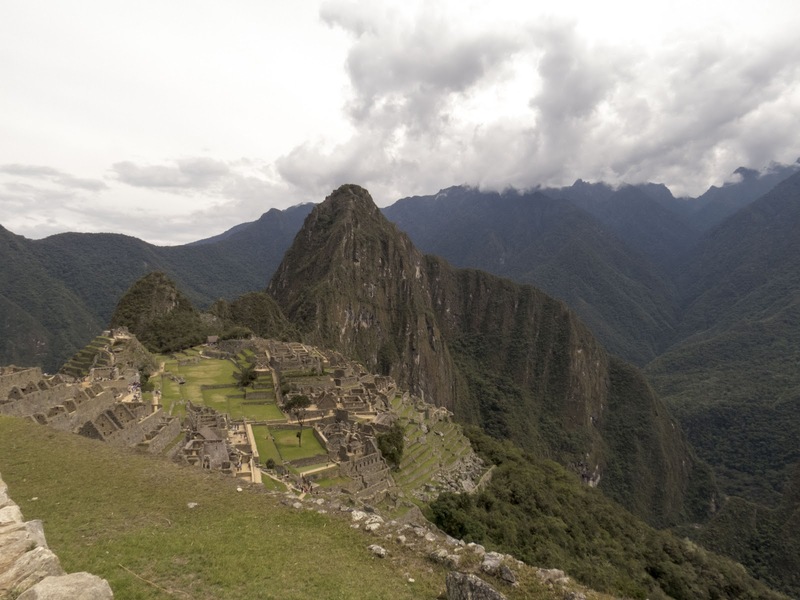 Check out our Machu Picchu picture gallery and be inspired to visit the Incan ruins of Peru.